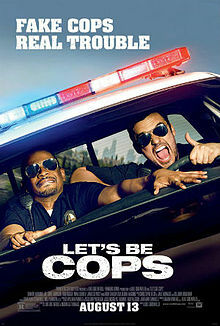 Walking into this movie I had such high expectations – the trailer was funny and I’m a fan of both Jake Johnson and Damon Wayons Jr. because of their respective and collaborative TV work. Walking into a movie with expectations this year has been a dangerous habit but this movie did not disappoint. I was constantly laughing out loud throughout this movie and I feel like actually making me laugh is a thing alot of apparent “comedy” flicks forget to make me do. The movie is cliche and formulaic. Things happen in an expected way but it’s so entertaining to watch. The best thing about this movie is the bromance between Wayons Jr. and Johnson, they really have good comedic chemistry and some of the best scenes are them just sharing one-liners. The movie has great little cameos, especially Andy Garcia’s feature as a dirty cop and Keegan-Michael Key’s work as a Dominican gang banger had me in stitches. The ending of the movie wasn’t very original but the journey leading up to it was so good that you won’t be too bothered by it. Honestly, this movie is the funniest movie I’ve seen this year, I literally fell out my chair at some point. The script and chemistry between the leads are the best things about this movie. It’s worth a trip to the cinema 8/10.